NEW YORK (Forex News Now) – During European trading today, the euro surged against the yen, gaining “two handles” as traders dumped the yen for the common currency. While the pair has surged today, it should be noted that it is currently up against the previous daily trend line that kept it down, and as such, it is a time to wait and see if we can break above it, allowing the FX rate in the pair to climb. What a classic technical analysis move might include is a break above the line, and a retest to confirm that the trend line has held, going from resistance to support. The FX rate in this pair has been pushed lower and lower for what seems like an eternity, and has been relentless as of late. 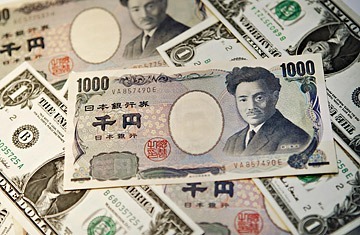 While the yen is still in an uptrend against most currencies, it is very possible that the currency is due for a secular pullback against most other currencies. Certainly nothing can go in a straight line forever, just ratcheting the FX rate of the currency higher and higher. Of particular interest for the traders of this pair will be the announcement coming tomorrow from the ECB, and whether or not it can defend form its currency gaining even more, as the dollar is sinking lower and lower. This can give the EUR/JPY pair a lift by proxy, as the euro gains against its largest trading counterpart. Considering that the signal is showing up on the daily chart, it is likely that the return signal, showing the breakout, the support of the trend line, and the sign to go long will be on the same time frame. If this is to be true, look for this pair to possibly show a long set up in a few trading days, which lines up nicely with all of the announcements coming in the next three trading days.